Whether you are for or against ethanol production in the United States, an important part of the ethanol equation that can’t be ignored is its economic impact. Ethanol directly employs over 70,000 and indirectly employs around 400,000 people in the United States. These high paying, green jobs are assisting in rural development across America giving professionals and their families opportunities that weren’t available 10 years ago. 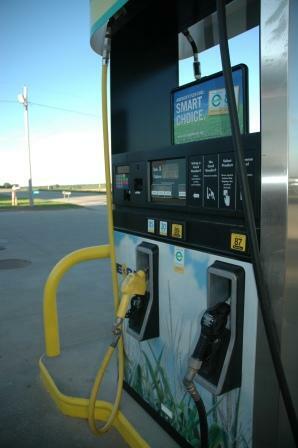 Direct and indirect income from ethanol production adds up to $36 billion. On top of that the ethanol industry adds $53.6 billion to the nation’s Gross Domestic Product. Those totals equaled $8.6 billion in revenue to the federal treasury in 2010 while the ethanol tax credits like VEETC and the small ethanol producers’ tax credit totaled just over $6 billion. In 2010 the ethanol industry used 4.6 billion bushels of corn grown by local farmers which was valued at more than $18 billion. Total grain used in domestic ethanol production equaled around 3% of the world’s grain which displaced 445 million barrels of oil during 2010 in the United States. That production is valued at $34 billion and through the buying a selling of inputs, energy and labor that money that will always be American. This entry was posted in Education, News and tagged American, corn, economy, ethanol, farmer, South Dakota.